At 62 – 64 with 36 games left, The Nationals will need a massive collapse from either the Pirates, Reds or Cardinals in order to qualify for the Post Season in 2013 being 10.5 Games behind the playoff bar. Despite the struggles, the club still has to go about the business of preparing a 40 Man Roster in September. Lets preview some of the news, injured players coming back, and recent performances of some of the guys in the Minor League System. September is just 10 days away. With 9 games in those 10 days, a lot of things can happen with the Nats. They can still go on a run and get back into the thick of things in the Wild Card race. The reason for this is easy…. The Pirates, Cardinals and Reds are play each other a pile in the last 5 weeks of the year, so all the Nationals have to do is to take care of business, and they can be back in the conversation for the playoff game at least. The Nats also have a ridiculously easy schedule coming from now until the end of the year in their final 36 games. Coming up. 1 more @CHC, 3 @KC (they are struggling now), then a 6 game homestand versus the Marlins and Mets. They should go 7 – 3 here. From there, they have a 10 game road trip with 3 @PHI, 3 @MIA and 4 @NYM. The team could go 7 – 3. Followed by the road trip is a 10 game homestand: 3 VS PHI, 3 VS ATL (they may have clinched by then – or at least resting guys), and to vs the Marlins ends the stretch. The team could go 8 – 2. The Nats end up playing their last 6 on the road versus the Cardinals and Diamondbacks in 3 game series each. If they win both series, it could be a 4 – 2 road trip. You could see the club win 26 of their last 36 games – to have them equal 88 wins. The Pirates would need to win 15 games out of 36 in this scenario. While it would still make it unlikely to be in the Wild Card Game, it could put some pressure on the 3 NL Central franchises. The Cardinals would have to win 16 out of 36 games to stay ahead, and the Reds would need 17 wins out their last 35 games to stay head. They could also go on a losing streak and drop out of the race just as easily. For the most part, the Nats’ September call-up candidates will be the same, but their eventual roles may differ. The only player on the 40-man roster that I don’t think has a chance of making it to the Majors in September is Matt Purke, who has always struggled with injuries and is just starting to hack it in high A ball. With Mike Morse only being signed through the 2013 season, and the brass feeling that the Nationals had a playoff Roster of players without him, they dealt one of their best deep ball threats from the last couple of years. From one injury after another, it is too bad the club didn’t still have this guy to help the depth. 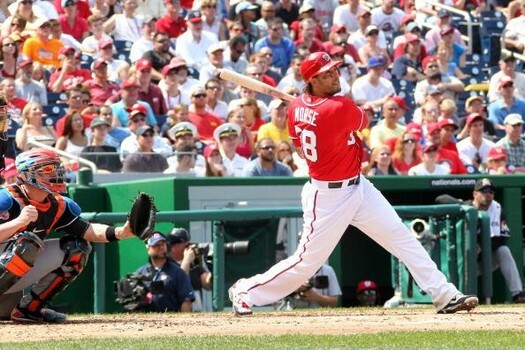 Morse has hit for a 3 Slash Line of .248/.311/.766 – with 10 HRs and 18 RBI with Seattle this campaign. The Nationals were not planning on resigning “Da Beast” past this season – and were able to replenish some pitching in the Minors by re – acquiring A.J. Cole. It doesn’t mean it doesn’t hurt the 2013. I’ve recently complained that the Nationals’ lack of organizational depth is a major reason for their mediocre start to the season. 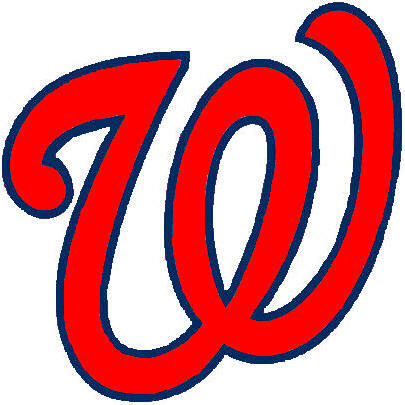 Key contributors C Wilson Ramos (twice), 3B Ryan Zimmerman, RF Jayson Werth and RHP Ryan Mattheus have all gone on the disabled list while LHP Ross Detwiler and LF Bryce Harper have narrowly avoided their own stints. None of that is even to mention 2B Danny Espinosa, who is playing with a torn rotator cuff. Kurt Suzuki has filled in admirably for the injured Ramos, but out of that bunch, that’s pretty much the only bright spot. Anthony Rendon and Chad Tracy struggled at 3B filling in for Zimmerman while Roger Bernadina and Tyler Moore have been downright awful in the corner OF spots. Super-sub Steve Lombardozzi has limped along to a -0.3 WAR, almost as bad as Espinosa’s -0.4.